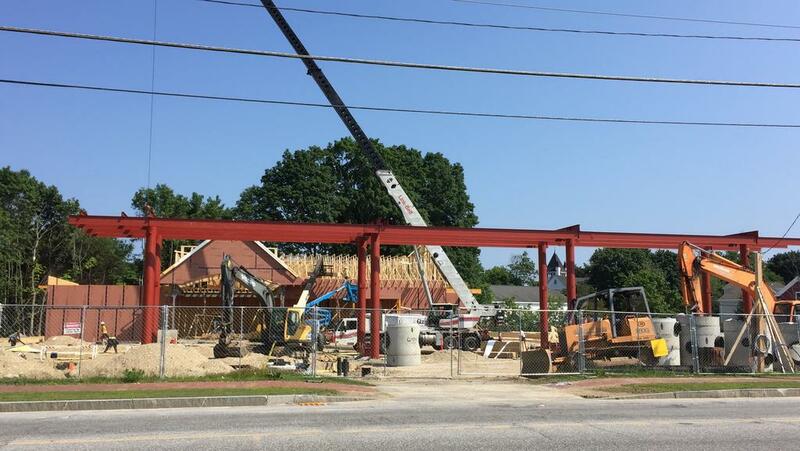 Work is well underway on the new and larger Cumberland Farms store in Gray Village. The store is expected to open in late September. The company entered into a contract zone agreement with the town to knock down its previous building and construct a bigger store on the existing property and two adjacent lots.